UPDATE: Police believe they may have found the body of missing Jim Slack. The Pittsburgh police found a body in the Allegheny River, near the Carnegie Science Center after receiving a call there was a body in the water. The clothing matched what Jim Slack was wearing the day he disappeared. There will be an autopsy to determine how Jim died. 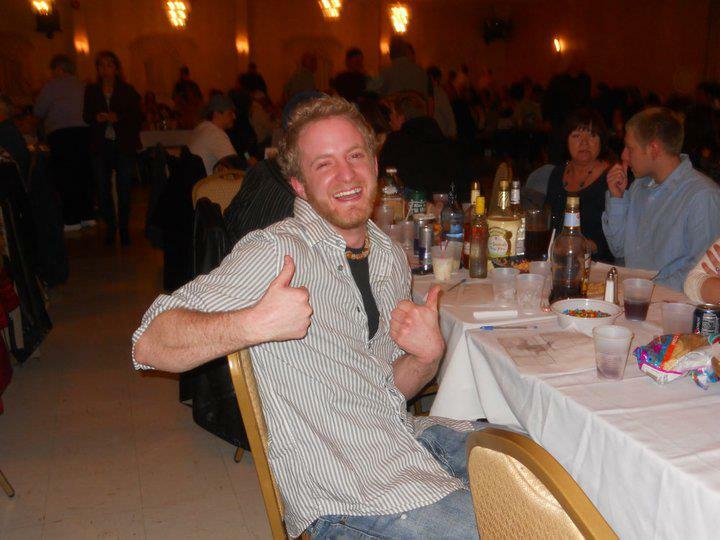 Jim Slack, 25, from Bridgeville, Pennsylvania is missing. He went to a concert at Stage AE with a friend on December 7. During the concert they were separated. After the concert Jim’s friend ran into another friend and they drove around the area looking for him. At 3:00 a.m., Jim called his friend and said that he was still partying and he did’t know where he was at. His family and friends have not been able to get in contact with him since. Jim works at Imperial Towing and he hasn’t showed up for work either. Jim is 5′ 10″ tall and 160 pounds, he has blond hair and a light beard. He was wearing a green and black-hooded sweatshirt with a tie-dyed t-shirt and a Penguins baseball cap.. If you have any information about his whereabouts, please call 412-279-6911. More info on Facebook.